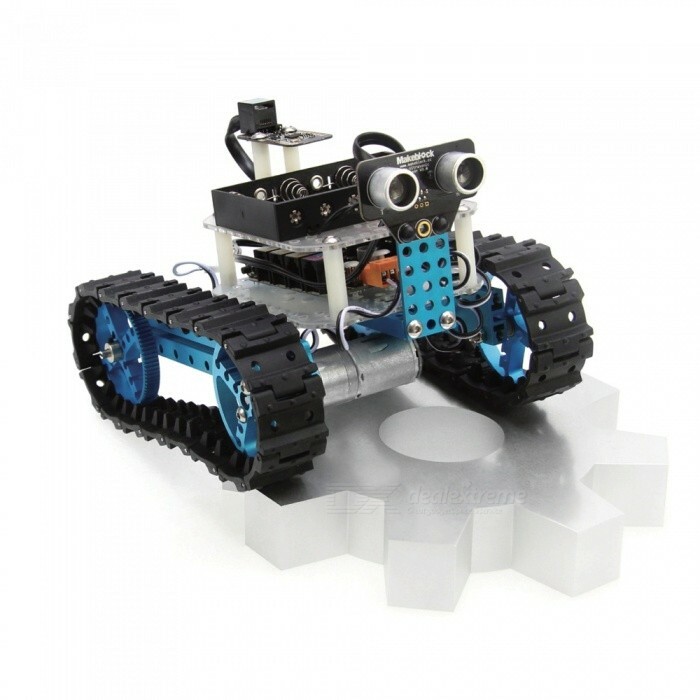 This Kit is a great choice for learning robotics, electronics and Arduino programming. 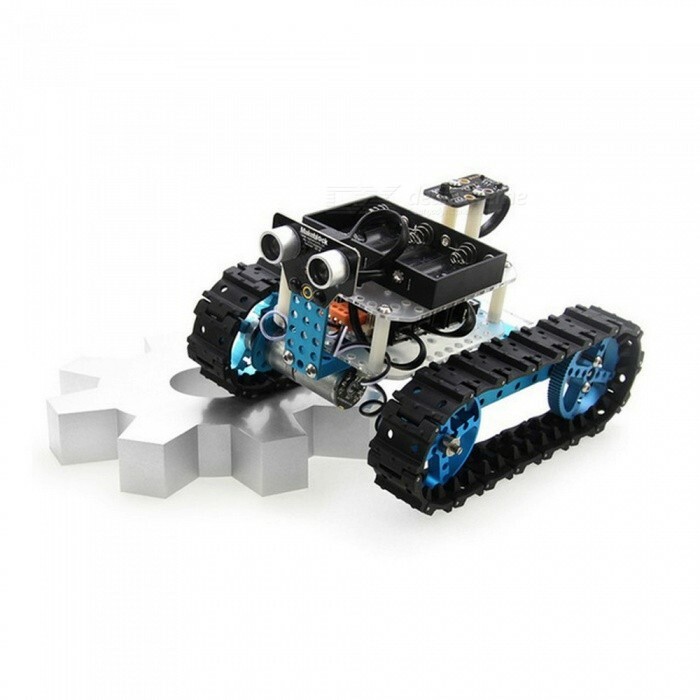 It contains mechanical parts and electronic modules for you to start exploring the robot world, it can be used to build a robot tank or a three-wheel robot car. 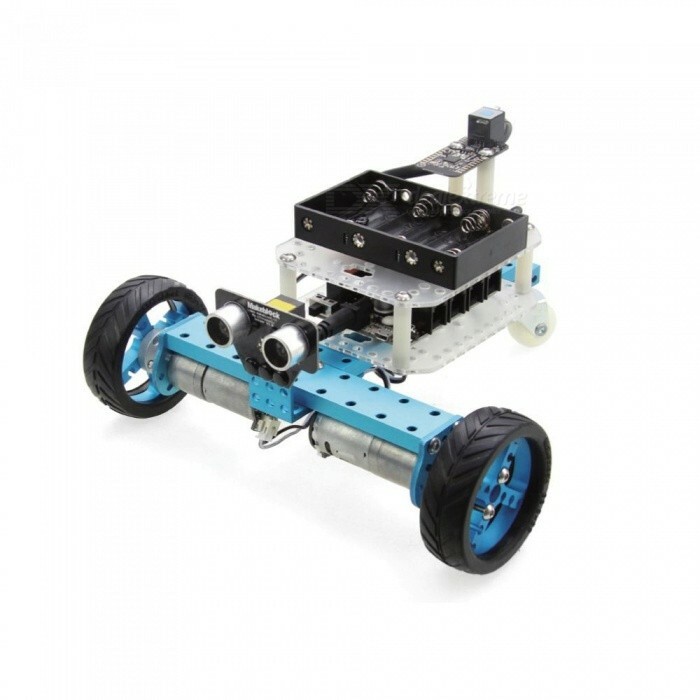 With the following electronic modules : Me Orion, ultrasonic sensor, IR remote controller and IR receiver, an IR controlled robot or an ultrasonic obstacle-avoiding robot can be build. The Me series electronic modules are easy-to-use, very friendly to beginners.